We believe that all youth deserve equitable access to opportunities that support their personal development, social well-being, and passion for lifelong learning. Through artist residencies, performances, apprenticeships, and other activities, young people acquire and refine artistic skills, share their talents, engage in critical thinking, explore new possibilities, and contribute to the civic discourse of our society. Programs are led by trained and experienced professional artists and staff who engage youth in activities that build essential skills necessary to succeed in life such as creativity, collaboration, problem solving, empathy, innovation, and positive risk-taking. We engage a broad network of local and national organizations to remain informed by and contribute to the trends and developments in the field of arts education. We also explore and leverage continued advancements in media and technology as it impacts our physical and virtual environments through the lens of arts learning and engagement. 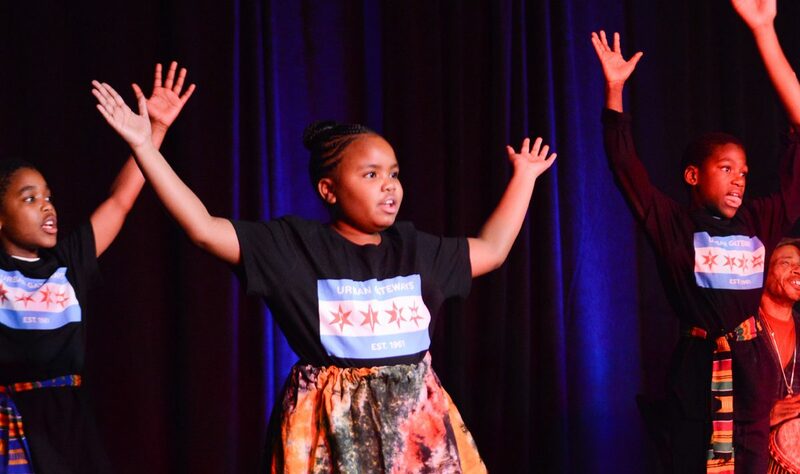 We embrace the tenets of Creative Youth Development by encouraging youth to become agents of change in their own lives and communities through diverse arts experiences within safe spaces to support their full creative potential. We strive to become a more trauma-informed institution through ongoing professional development and strategic partnerships, helping to disrupt the cycle of violence and trauma by nurturing youth-led expressions of creativity and inspiration. This work is transforming our approach to arts education across all programs and initiatives. Through our versatility and flexibility, we collaborate with a wide variety of partners to meet the needs of diverse youth populations under the premise of mutual respect and accountability. Partnerships include schools, parks, community centers, youth services, higher education, treatment facilities, museums, performance venues, and other settings where youth can benefit from enriching and educational arts experiences. Please contact us to find out how we may be able to advance your goals and priorities for supporting Chicago’s youth and communities.